Offers parents and professionals a tool (STAT) for understanding children with neurological differences. Helps them see the world through the child's eyes, and the stress, anxiety, and general emotional devastation they can experience regularly. Children diagnosed are misunderstood and often give the illusion of competence. Figuring out their initial understanding of a situation helps to explain the choices and actions they take. Understanding how it is to live with a neurological difference better equips one to make meaningful changes to improve these children's quality of life. The stories in the book describe real situations that are encountered by children diagnosed with neurological impairments. 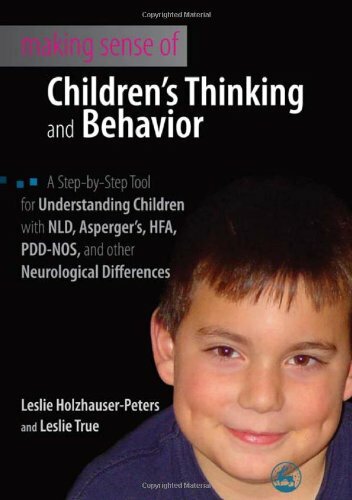 Each chapter addresses a different problem area such as abstract language, spatial orientation, social communication, impulsivity, executive functions, & anxiety.